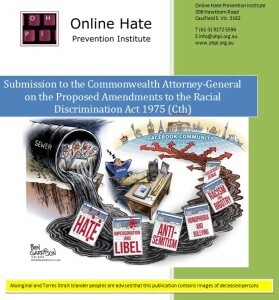 Earlier today the Online Hate Prevention Institute sent in the submission below to the consultation by Australia’s Attorney-General on his proposed changes to the Racial Discirmination Act 1975 (Cth). Our submission focused on the issue of cyber-racism and the role S 18C plays in tackling this problem. The Online Hate Prevention Institute (OHPI) is Australia’s only Harm Prevention Charity dedicated to the issue of online hate. A large part of our work relates to identifying and combating cyber-racism against various parts of the community, we welcome the opportunity to participate in this consultation. This submission focuses on the impact we believe the proposed changes would have on the growing problem of online racism. In the online sphere the proposed changes would significantly impact Australia’s ability to regulate harmful and dangerous content and behavior. The change would be far more radical than the government likely expects. In particular we are concerned about a loss of sovereignty which will result if the proposed changes were adopted. Section 18C of the Racial Discrimination Act 1975 (Cth) plays a critical role by allowing Australian attitudes on multiculturalism, and Australian expectations regarding public discourse to shape what Australians see (or don’t see) on major social media platforms. This occurs because platform providers supplement their own global “community standards” with provisions for also complying with local laws – for example the prohibition on Holocaust denial in Germany and other countries. 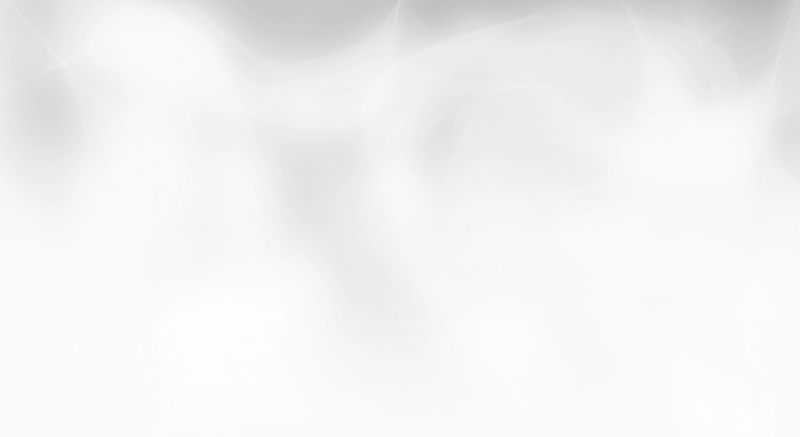 This compliance is achieved by blocking certain content for visitors who access the site from those countries. It is not enough that the content offends local norms in Australia; to override the default policies of social media companies there must be a clear legislative provision making the content unlawful. Section 18C provides this hook when it makes the content unlawful. While we support the observation made by the Human Rights Commissioner that “Not all of societies’ ills can be solved through law”, in this situation a law is required. Without a law we give up our sovereign right to determine what social media content may be visible in Australia. We will instead be subject to global standards which have been repeatedly shown to conflict with Australian expectations. Losing our local law provisions would mean moving from a situation where the Australian standards for acceptable content can ultimately be set by the courts, to a situation where the Australian public is at the whim of vested private interests. Worse still, these private interests often operate as monopolies in a failed market place. There is no substitute for Facebook, YouTube, Twitter or LinkedIn as each occupies its own niche. In such an environment, where market forces are largely non-existent, the Australian people have a right to expect regulation by Government. The situation is particularly serious for Aboriginal and Torres Strait Islanders as racism against these communities may not be recognized or understood outside of Australia. OHPI is also concerned that the removal of S 18C, or of the ‘offend’ provision, would elevate some forms of cyber-racism from matters for reconciliation between the perpetrator and victim into criminal matters before the courts under S 474.17 of the Criminal Code Act 1995 (Cth). Similar conduct occurring offline would, however, leave a victim with no recourse. We are concerned about the way this violates the principle of ‘online-offline consistency’. We believe that the proposed changes to S 18C would significantly hinder Australia’s ability to block harmful content and could see previously blocked content ‘unblocked’, resulting in a virtual tsunami of hate. More fundamentally, we are alarmed at point 4 of the exposure draft which we believe would provide a blanket exemption for all forms of racist hate speech in social media, again forcing complaints into the criminal justice system under telecommunications provisions. We appreciate that this is not the Government’s intent, but as social media is premised on the idea of public communication, we believe this would be the result if point 4 were to become law. The Online Hate Prevention Institute believes the combination of S 18C and S 18D, as they currently stand, provides the best balance between protection from racism and the protection of freedom of speech. We additionally recommend against the removal of the terms “offends” or “insults” from S 18C as we believe these terms capture certain classes of racist content, which we regularly see online, and which ought to remain unlawful. Antisemitic conspiracy theories about Jewish power are one example of content which is offensive and has a ‘profound and serious impact’ as this sort of hateful content has led to multiple massacres throughout history. At the same time, conspiracy theories about Jewish power are portrayals of strength and as such it could be hard to prove that they “insult”, “humiliate” or “intimidate”. The existing law strikes a balance that makes racist content unlawful, allowing its online forms to be blocked in Australia, whilst avoiding the engagement of the criminal law and minimizing the use of the courts. The international norm is to make such conduct criminal, as can be seen in the Additional Protocol – the only treaty to address this problem in the online context. The Online Hate Prevention Institute believes further research into the issue of Cyber-Racism is needed before changes to the law should be considered. The problem of cyber-racism, and the impact it is having in Australia, is growing rapidly. Tackling this growing problem requires greater Government attention and resourcing. Care should be taken to avoid legislative changes which might negatively impact on Australia’s ability to tackle this problem. Free speech has limits because speech can cause harm.